March started very wet with 155mm in 18 days. The upgrade to the drainage system over the last few years proved its worth through this wet spell. The course has only been unplayable once during this period and usually would have been closed for a few days after a heavy deluge. 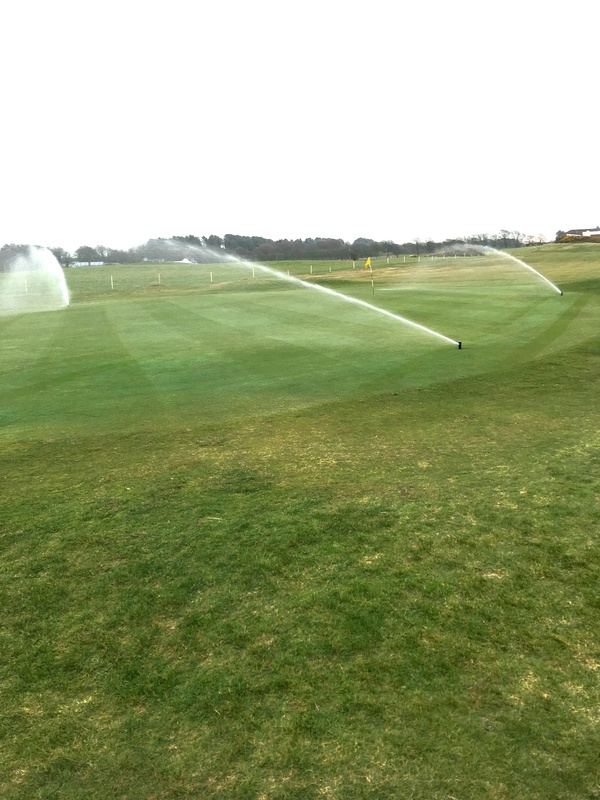 Wetting agent program was started to aid moisture management in soil. To help get air into soil and stop surfaces getting sealed a sarel roller (minimum disturbance) was used. Have been widened in places to gain more tee space. Mix of iron and nitrogen was applied. On the 2nd seed has started popping from last months overseed. 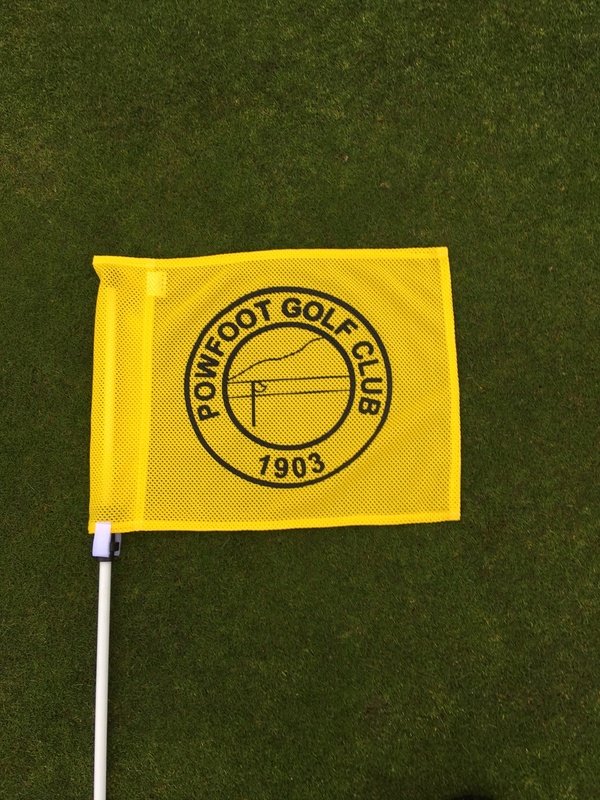 New 150 yard posts have been added to one side of each fairway. This path has been widened to allow buggy access. System was started up after its winter shutdown. Air was bled from system and all sprinkler performance checked. With pipework being in the ground over 40 years (pipework should be upgraded after 20-25 years) bursts/leaks are common and we have already suffered and repaired one. Herbicide sprayed in January has worked and grasses are declining. 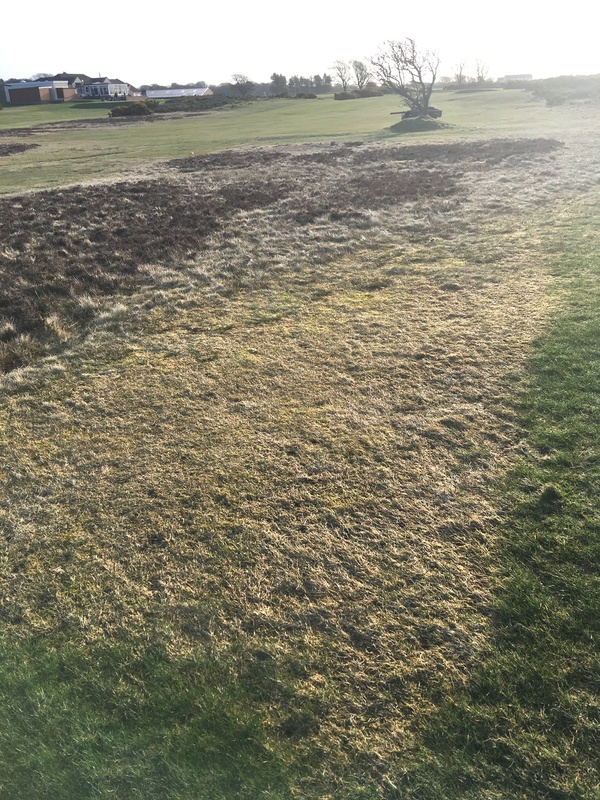 The heather will be terra-raked to remove moss/grass and this will hopefully encourage new growth of heather.